Aggregate Industries has developed a new extendable chip spreader (chipper), in conjunction with engineering firm Pavemac, in a bid to make the chip spreading process much safer, more reliable and efficient. The development is part of concerted a effort to raise health and safety standards in road surfacing, following a serious incident in June 2016 involving a chipper and supply chain operative that resulted in a fractured ankle and associated skin damage. Paddy Murphy, Managing Director of Contracting Services at Aggregate Industries, commented: “To prevent such incidents from ever happening again, we’ve spent the last 18 months conducting root-cause analysis of chipper incidents and operations to identify ways that we can reduce or eradicate the road safety risks to our employees. The results consistently highlighted the need to completely overhaul the chipper design. 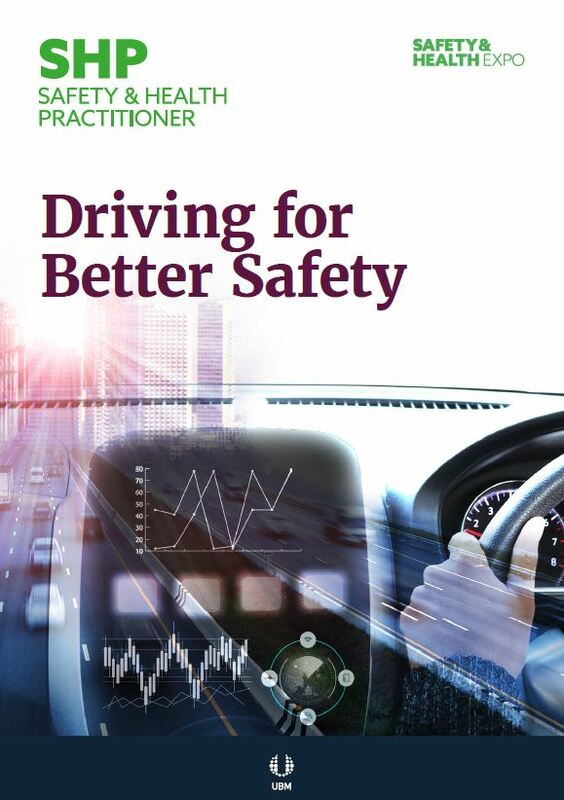 In what is being described as a ‘radical step forward’ for the industry, an automated data gathering system, which is set to make the road surfacing process “infinitely safer”. The initiative has been designed to minimise the risk to employees during pavement construction by replacing the need for a human technician to carry out the highly dangerous task of data capture. The investment follows a number of serious incidents across the industry in recent years, including fatalities. Introduced in line with the company’s zero harm ethos, the new system, known as Automated Inspection and Testing (AIT), will see all pavers, rollers and survey vehicles fitted with the latest technology including GPS, infra-red sensors and a data recording unit. 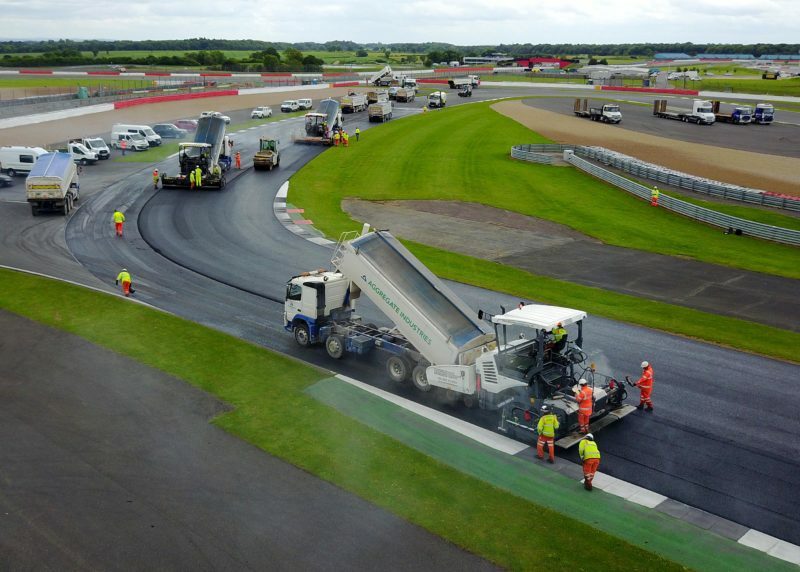 Neil Leake, National Technical Manager at Aggregate Industries, said: “Traditionally, the road surfacing process requires at least one or two technicians with each surfacing gang, working manually to gather and record data on everything from material temperatures to ride profile. During this task, technicians are not only exposed to the dangers of working in close proximity to live traffic and construction vehicles but also face a myriad of other risks including lone working and hot material interface. The final element of the AIT procedure is surface texture and rolling straight edge testing of the finished pavement, which using laser scanners and video recording can now be completed with improved accuracy and without the need for a human technician. The result is a complete record of the laying process with zero risk to employees. Using two-way radio headsets across all sites has meant that hauliers and site operatives receive direct, clear instructions by selected radio channels via headsets, as well as vehicle radios. By the end of a six-month trial, all of Aggregate Industries’ southern contracting found that they cut out background noise over 82 decibels and facilitated clear communications over 10km, removing the need to shout within closer proximities. Paddy Murphy said: “We take site safety very seriously and place importance on our pivotal role in raising safety standards across the industry as a whole. The benefits of these helmets are manifold: they prevent anyone in the team from working in isolation at any time; and teams can now raise an immediate alarm should unforeseen circumstances arise. 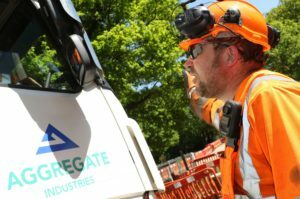 Improving road safety for roadworkers Aggregate Industries turns to innovation to improve health and road safety standards in the highways sector.